Always good to hear Eddie Piller on the radio – so it’s good to know he’s now got a regular show you can hear on digital TV and radio (south of England), as well as online anytime you like (as shows are archived). 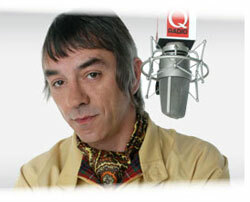 The Eddie Piller Show promises a mix of tunes, but ‘plenty to keep mods happy’. In fact, he’ll do requests too – so drop him a line at [email protected] marked ‘Eddie Piller show’ and you’ll have a good chance of hearing your tune. It goes out live on Friday nights from 9pm until midnight, with a repeat on Sundays at 5pm, with future guests including the likes of Martin Freeman, Paul Weller and Gem Archer. The online player and archive can be accessed via the link below.